december advisory editor Grace Cavalieri is the author of 18 poetry collections, 26 produced plays, and the texts of two operas, and is the co-author of The Italian Poet's Cookbook. The recipient of countless awards (including the 2013 AWP George Garrett Award, the Pen Fiction Award, and the Allen Ginsberg Poetry Award), Grace writes a monthly poetry feature for the Washington Independent Review of Books. For more than 30 years, she has been the producer and host of public radio's The Poet and The Poem, broadcast weekly from the Library of Congress. Graces's poems have appeared in december Vols. 15, 24, and 26.2. DECEMBER: What's on your nightstand right now? CAVALIERI: Just out! You Come Too: My Journey with Robert Frost by (his granddaughter) Lesley Lee Francis. DECEMBER: Describe your writing routine, if you have one. Do you write at set times and places or can you write wherever you are? Do you have a favorite place to write? CAVALIERI: I write longhand and like to write plays in bed, preferably in Key West. For some reason I can only write plays in Key West. As for book reviews, radio, and poetry business I am at my computer many hours a day in my home office. Poetry-making is a matter of seizing scraps of paper, collecting imagery and ideas, wherever I am, and when the moment occurs I go to my sunroom, with a spiral notebook, once again to write longhand before revising to the computer. I can't start a poem without ingredients, so my process is to collect; thoughts and feelings – then my observations, flashes, pangs, tell me what the poem wants to be. DECEMBER: How do your personal experiences manifest in your work? When, if ever, do you feel the need to adjust things in your work (settings, characters, etc.) to protect people in your life? CAVALIERI: Great question as it hinges on the moral life of the writer. I do not believe a work of art is worth one single person. I could never exploit my family or friends as subjects for poems if it betrayed intimacy or personal details that don't belong to me and the reader has not earned. However, I plunder my own life all day long. I think each of my characters has a piece of my emotional life. I always say, It's all fiction but the feelings. DECEMBER: How does a poem begin for you, with an idea, a form, or an image? CAVALIERI: Sometimes I engage in a method of starting with 10 words to see where they lead me. In fact, I've established a poetry group where we provide each other 10 words, monthly, and take it from there. Fascinating outcomes. It's fun to let language do the talking sometimes. DECEMBER: Which four writers (dead or alive) would you invite to a dinner party? DECEMBER: What can the literary community – meaning writers like you and publications like us – do to expand the audience for good literature? CAVALIERI: I think every writer should put his/her shoulder to the wheel to make it happen. Readers were not put on earth to make writers happy. We have to be accessible, create public venues, subscribe to magazines, further other writers – bring poetry into unlikely places. The worst picture I can think of is a writer who does his/her writing, then lies down to wait for the world to spoon-feed its reactions. There is work to be done after the manuscript is finished. What if every time a writer is published, s/he were obligated to write a review of another writer?! Wouldn't we expand the universe! DECEMBER: Best snack food during a marathon writing stretch? CAVALIERI: I think prose people are better to answer that. But I will say I drink tea all day long. And I could live on tea and toast happily forever. I must have been a nun in my past life. Tea keeps me rewarded all day. DECEMBER: Lastly, what was it like to be an original contributor to December and see it reemerge? CAVALIERI: I love this question. When my poems were accepted (1973-74,) I then believed I was entitled to keep writing. Before this time, my poems were in magazines with such small runs, they may not have hit the next neighborhood. december and The Agni Review were the first adrenalin boosts that were given to me from serious editors. The fact that december has been restored to the world makes me feel that I have been too. 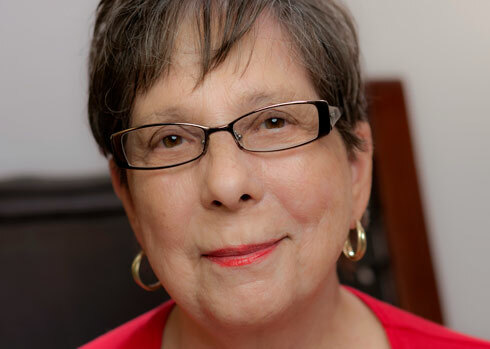 Senior Editor Ron A. Austin interviewed Grace Cavalieri for the this installment of december's monthly contributor interview.